Emeric Fohlen was raised between France, Senegal and the USA. 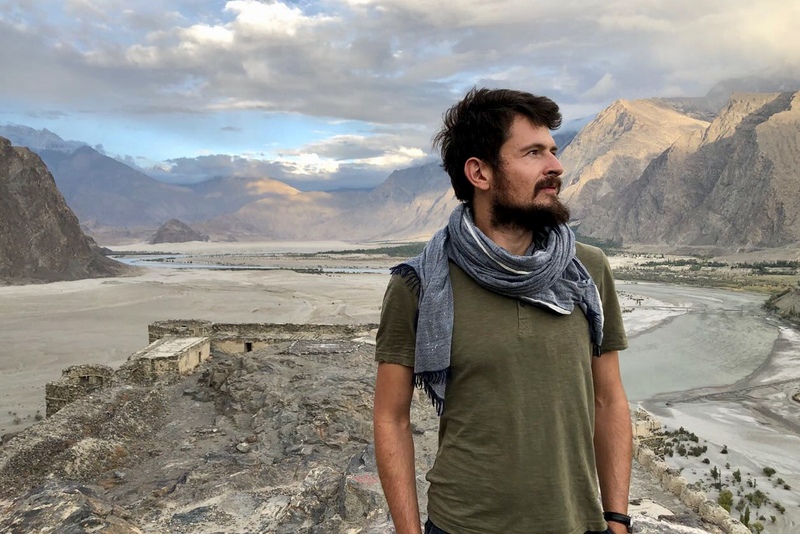 After studying communication and journalism in Paris, Emeric traveled for a year across Asia from Beijing to Bangkok. It is then that he confirmed his passion for photo-reportage and feature work. His immersive approach to journalism allows him to develop comprehensive work on important social, economic and political issues in different territories such as Tunisia where he questions the role of the youth in the recent political changes. During the past 10 years, Emeric Fohlen as been working on short and long term projects such as the Roma camps situation in France in 2013, the Ukrainian revolution in 2014, the Burning Man festival in the US in 2015-2017, the notion of secularity in the Maghreb in 2016-2017 and the Christians situation in Pakistan in 2018. His work is published and commissioned regularly by French and international periodicals including Paris Match, VSD, M le Monde, D la Repubblica, Le Figaro among others. He also regularly works with Greenpeace and the European Parlement and his corporate clients include SNCF, Sanofi and Veolia among others. He is distributed by HansLucas in France and by NurPhoto at the international level. SNCF, Sanofi, Véolia, le Figaro Media, Elabe, Azzana Consulting, Stelau, Daniel Féau, Les cuistots migrateurs, Union des Annonceurs, Yahya, World Press Photo, Paris School of Business, Paris-Saint-Germain, Orange.